Speaker: Jon Kopp - Proverbs 13:12 says, “Hope deferred makes the heart sick, But when the desire comes, it is a tree of life.” Solomon’s wise words reveal a fundamental key for healthy relationships involving setting proper expectations and meeting them appropriately. Nothing is more discouraging to the soul than unmet expectations. And when unmet expectations are left unaddressed, they can become relationship killers. 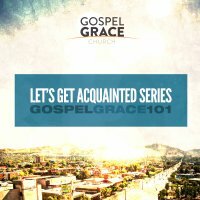 Our desire is when you become a part of the Gospel Grace family, you will find a community of people who, although certainly not perfect, are committed to protecting and enhancing the relational unity of the body by understanding and fulfilling the appropriate expectations set by Christ for His Church and its members. Fulfilling this goal will require both a clear setting forth of what those expectations are on a personal and corporate level, as well as a clarification of what those expectations mean for each of us who are members of Gospel Grace Church. It may also involve the removal or setting aside of certain expectations that individuals may bring with them to Gospel Grace Church when they are not in line with the mission, direction, biblical philosophy, or ministry atmosphere that Gospel Grace Church is committed to maintain.